His power: No powers, save that of the noble art of acting. His story: As explained in Iron Man 3, Trevor Slattery was a drug-addicted actor in England. 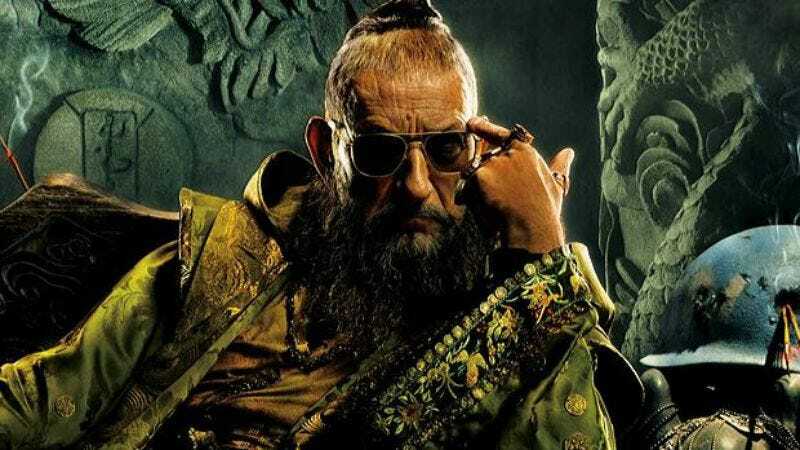 He was recruited by Aldrich Killian with the promise of a steady drug supply, and in exchange, Killian transformed him—via cosmetic surgery—into the public identity of The Mandarin, an actual international terrorist. Slattery played Mandarin in recorded videos made by Killian, but thanks to his constant state of drug- and alcohol-induced inebriation, it’s not clear to what extent Slattery understood the role that he was playing, and how much was real vs. fiction. Eventually, Tony Stark arrives at the mansion where Slattery is kept hidden away with women and entertainment, and Slattery realizes his role might be having real-life consequences. Following the events of that film, Slattery appears in the Marvel One-Shot “All Hail The King,” which shows how Slattery’s amiable acting talents are keeping him safe in prison thanks to his fellow inmates’ appreciation for his performances—at least, until the actual Mandarin pays a call. Currently, Trevor Slattery is: In a maximum-security prison. Where will we see him next? Unknown.